Utah consists of 29 counties, some of the major ones are Salt Lake County, Utah County, Davis County, Weber County and Washington County. Utah has a total of 29 counties as the administrative divisions. 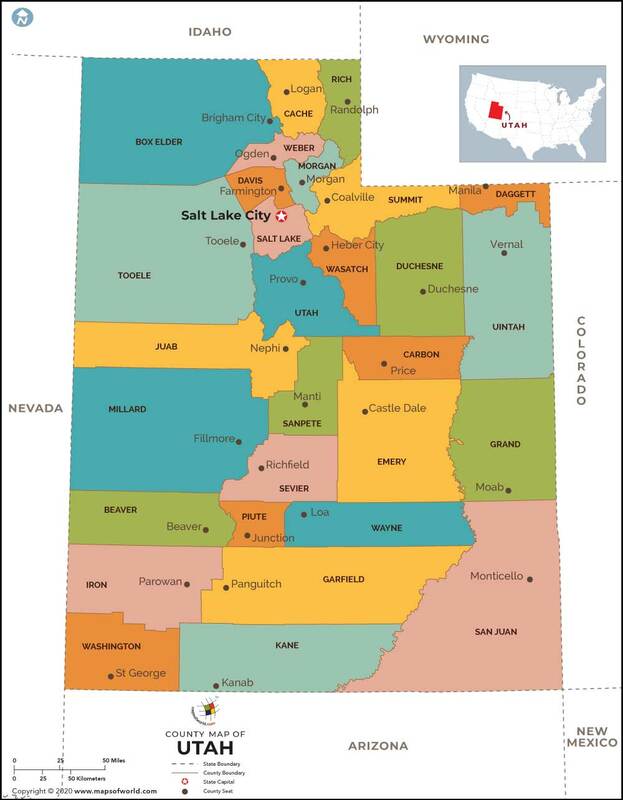 All the 29 counties of Utah are governed by separate county seats. A range of local-level governmental activities are carried out by these counties of the state of Utah. The Utah county Map points out the geographical position of the counties.